This study investigates the extraction from zinc oxide ore by leaching using sulfuric acid. Effects of some parameters such as leaching time, acid concentration, leaching temperature, particle size and solid/liquid ratio were studied for maximum zinc extraction and minimum acid consumption. Optimum leaching conditions were determined to be 120 minutes of leaching time, 55 g/L H2SO4 of acid concentration, 25 ˚C of leaching temperature, -780 µm of particle size and a solid/liquid ratio of 1/10. In these optimum conditions, 93.42% of zinc extraction and 1.58 (ton H2SO4/dissolved ton Zn) of acid consumption were achieved. Bu çalışmada sülfürik asit kullanılarak liç ile çinko oksit cevherinin kazanımı araştırılmıştır. Liç süresi, asit konsantrasyonu, liç sıcaklığı, partikül boyutu ve katı/sıvı oranı gibi bazı parametrelerin etkileri maksimum çinko ekstraksiyonu ve minimum asit tüketimi için araştırılmıştır. Optimum liç koşulları 120 dakika liç süresi, 55 g/L H2SO4 asit konsantrasyonu, 25 ˚C liç sıcaklığı, -780 µm partikül boyutu ve 1/10 katı/sıvı oranı olarak belirlenmiştir. Bu optimum koşullarda, %93.42 çinko ekstraksiyonu ve 1.58 (ton H2SO4/ çözünen ton Zn) asit tüketimi elde edilmiştir.
.	Abdel-Aal E.A., Kinetics of Sulfuric Acid Leaching of Low-Grade Zinc Silicate Ore, Hydrometallurgy, 55 (2000) 247-254.
.	Havlik T., Turzakova M., Stopic S., Friedrich B., Atmospheric Leaching of EAF Dust with Diluted Sulphuric Acid, Hydrometallurgy, 77 (2005) 41-50.
.	Xu H., Wei C., Li C., Fan G., Deng Z., Li M., Li X., Sulfuric Acid Leaching of Zinc Silicate Ore Under Pressure, Hydrometallurgy, 105 (2010) 186-190.
.	Bodas M.G., Hydrometallurgical Treatment of Zinc Silicate Ore from Thailand, Hydrometallurgy, 40 (1996) 37-49.
.	Canbazoğlu M., Kaya Ö., Kulaksız M.I., Nizamoğlu Y.S., Sulphuric Acid Leaching of Zinc from Low Grade Lead&Zinc Ores, Proceedings of the XIII Balkan Mineral Processing Congress, 2 (2009) 587-593.
.	Uysal G., The Evaluation of Low Grade Zinc Oxide Ore of Niğde Öküzgönü Tepe Using Sulfuric Acid Leaching and Solvent Extraction, MSc thesis, Cumhuriyet University, Department of Mining Engineering, (2011) Sivas, Turkey.
.	Souza A.D., Pina P.S., Lima E.V.O., Silva C.A., Leão V.A., Kinetics of Sulfuric Acid Leaching of a Zinc Silicate Calcine, Hydrometallurgy, 89 (2007) 337-345.
.	Wang R.X., Tang M.T, Yang S.H, Zhagn W.H, Tang C.B., He J. Yang J.G., Leaching Kinetics of Low-Grade Zinc Oxide Ore in NH3-NH4Cl-H2O System, J. Cent. South Univ. 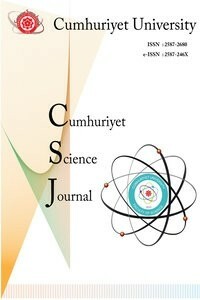 Technol., 15 (2008) 679-683.
.	Bayrak B., Laçin O., Saraç H., Kinetic Study on the Leaching of Calcined Magnesite in Gluconic Acid Solutions, J. Ind. and Eng. Chem., 16 (2010) 479-484.
.	Espiari S., Rashchi F., Sadrnezhaad S.K., Hydrometallurgical Treatment of Tailings with High Zinc Content, Hydrometallurgy 82 (2006) 54-62.